Here’s an unusual example of a broken or cracked LCD panel on a MacBook. 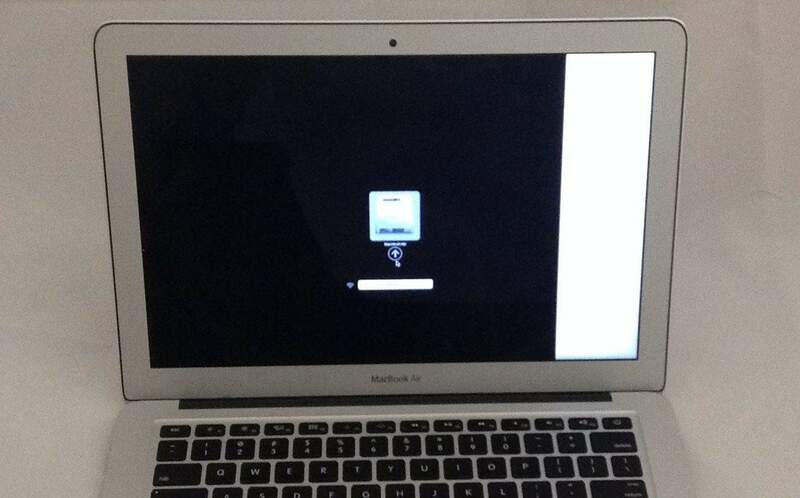 This little 13 inch MacBook Air has a black screen with a white rectangular area on the right side. It’s almost like a white band or white bar across the screen. Usually we see broken LCDs with colorful lines or cracks on the screen, sometimes even rainbow splotches and black spots. Nevertheless, the repair is the same–a new LCD panel installation. Not many shops can do this repair without damaging the backlight panel behind the LCD, but we have plenty of practice!